One-stop shop for all your online real estate listing marketing needs: Listing syndication, online property marketing, virtual tour and social media listing widgets. 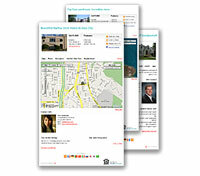 One of the industries largest and fastest property search engines, private labeled for real estate professionals. Get started with RealBird.com for free or sign in to use the services.